Petrof Piano Trio - Ondřej Kukal - Mediální ohlasy - ArcoDiva management - Hudební agentura - Hudební agentura ARCO DIVA Management s.r.o. There are two novelties here - the world premiere recording of Ondrej Kukal’s Piano Trio and Janáček’s Piano TrioKreutzer Sonata. Yes, you read that correctly – Piano Trio, not String Quartet. The Trio is known to have been composed and first performed in 1909 in Brno but it was then lost. The arrangement has been accomplished by Miloš Štědroň. The notes – in Czech, Spanish, Japanese and shaky English - honestly admit that the legitimacy of Štědroň’s work is up to the interested listener to assess. My own assessment is that since there is surely little documentary evidence as to what that original trio sounded like - and that therefore this is not putative reconstruction so much as an arrangement for piano trio of the existing quartet – the work must stand or fall on its viability in the new medium. Inevitably the loss of two-fiddle sonority devitalises certain passionate elemental qualities inherent – I very much miss the febrile Moravian tonal density they bring to this work, and the companion quartet – whilst the piano brings other qualities. There are gains in thematic clarification, possibly – the weight of the ensemble is lightened – but the razory intensities of the quartet version are diminished, indeed made occasionally vapid, in this arrangement. The percussive nature of the piano tends to graft a different aural perspective onto music to which one has become wholly accustomed. 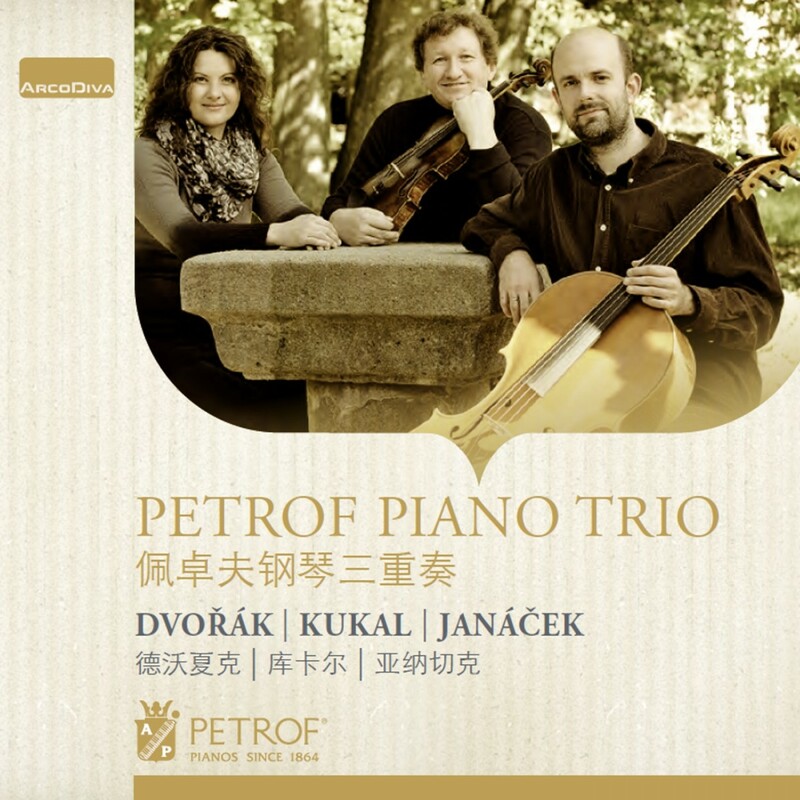 One can test Kukal’s compositional mettle in his 2014 Piano Trio Boj s pádem (which would translate as 'Fight with the Fall', or 'Fight with Fall') which was premiered by the Petrof Piano Trio in July 2015. It’s a single-movement piece lasting 17 minutes and is packed with interest. Though stern, indeed angular, it’s also full of loquacious vibrancy, and introduces some quite vivid folkloric elements too. The terpsichorean element – very Czech – as well as lyric stretches shares space with some poignant, indeed introspective paragraphs. Adagio sections recur. There’s a beautiful hymnal passage before Kukal injects some animated and urgent writing toward the spirited finale. This is a worthwhile addition to the catalogue of tonal, exciting and traditionally-based piano trio repertoire of Kukal's country.